Nobody, and I mean nobody, likes the dentist. I don’t care who you are, if you have fond memories of someone picking through your mouth with a hook and drilling holes in your pearly whites, you have problems. That was the mindset Vince McMahon must have had when he came up with this week’s Bad Gimmick Hall of Fame inductee. Relax and count backwards from 100, as your boy Jobu inducts Isaac Yankem, DDS into the BGHOF. When Glenn Jacobs got his start on the American independent scene, he was known as Angus King (was the monicker inspired by U.S. Senator Angus King, or perhaps a clever take on the Burger King character? 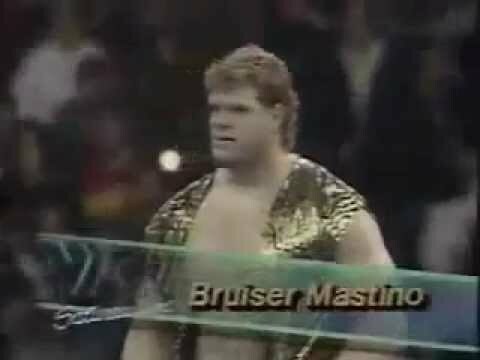 I just don’t know), and also worked some WCW tapings as Bruiser Mastino. 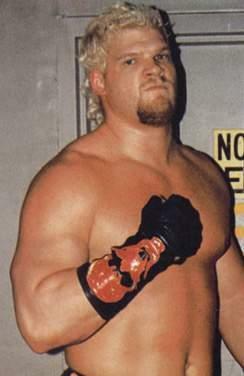 He ran through some odd gimmicks during this time, wrestling in Smoky Mountain Wrestling as Unabomb (teaming with a young Al Snow as the Dynamic Duo; in the USWA as the Christmas Creature (basically a giant, wrestling Christmas tree… sigh); and, also in the USWA, as a Road Warrior (the movie) ripoff named Doomsday. He at least got a USWA championship run out of that last character, and even wrestled in the final televised USWA Match (against fellow BGHOF member, Spellbinder aka Phantasio), so that’s nice. In 1995, Jacobs caught his big break, as was finally offered a full time contract by the WWF. 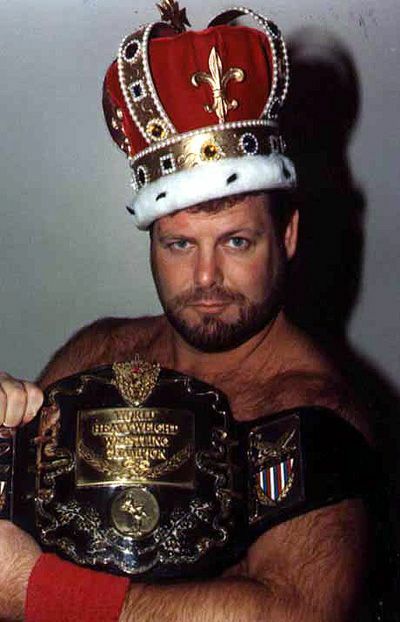 He was even paired up with his former USWA boss, Jerry Lawler, and set up with a big feud against a bonafide superstar in Bret “The Hitman” Hart! How awesome is that? What an opportunity! All he needed now was a gimmick that wasn’t so stupid and ridiculous that it would kill any momentum he had before his run even began. Surely, the braintrust at Titan Towers wouldn’t be dumb enough to saddle him with anything like that, right? Right?? Sigh. If you said “right,” you haven’t been reading my BGHOF posts lately, if ever. Of course, Jacobs, who stood nearly seven feet tall and could move, was given one of the dumbest gimmicks of all time. I’ll let an excerpt from “WrestleCrap,” by R.D. Reynolds, describe it. Sadly, our friend R.D. wasn’t high on drugs when he wrote this. 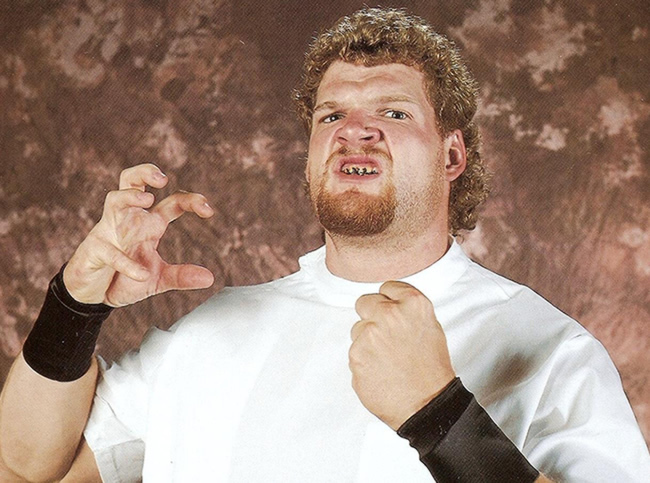 No, this was really the gimmick Jacobs was given upon his arrival in the WWF… Jerry Lawler’s evil dentist. You see, Lawler was involved in a blood feud with basically the entire Hart family–more specifically with Bret–and, tired of constantly losing and being humiliated, he decided to bring his dentist in to help destroy Bret and his pesky brothers. Luckily for Lawler, his dentist, who apparenlty spent all of his time sadistically drilling holes in people’s mouths and never bothered to fix his own decrepit teeth, was seven feet tall and also knew how to wrestle. What are the odds?? Anyway, vignettes began running that showed Lawler outside or at his dentist’s office, talking about how he was going to bring his secret dental weapon to the WWF to destroy Bret Hart. In one vignette, Lawler was actually with his dentist–and yes, his name was Isaac Yankem like the excerpt says (forehead slap)–in the office as he brutalized a poor, unsuspecting woman with his dentist drill. A, what’s wrong with you, Jerry Lawer? How is that even pleasant, or legal? B, how did this man still have his license to practice dentistry? I’m pretty sure that lady didn’t even have any cavities! Where did she get his number? Why didn’t she just run out the door when she saw his teeth? What was her life situation at that time that this was the only dentist she could afford?? Also, did someone show Vince McMahon Dr. Giggles before he came up with this idea? I’m not saying Vince ripped this idea off from the 1992 horror movie, but doesn’t that seem like something Vince would do? Anyway, this brings us to Yankem’s actual in-ring appearance. First of all, as you may have guessed, his theme song involved awful dentist drill noises. I do give them credit for throwing in some elevator/waiting room muzak into the mix, though. That was a nice touch. Also, while it was stupid, I must admit it definitely made me cringe to hear that awful sound. Like I said earlier, nobody likes the dentist, and the drill sounds bring back bad memories for many people. Anyway, Yankem–because he was apparently always coming to the ring in a hurry after seeing a patient and never had time to change into wrestling gear–came to the ring in his dentistry scrubs, and even wore the head gear and magnifiying eye glasses thing that dentists wore back then. This is something I cannot ever get past. Why would these guys, who are whatever profession they are during the day, but moonlight as wrestlers, wrestle in their work day clothing? To be fair, dentist scrubs are probably not as bad to wrestle in, but did he need to wear the top of the scrub to the ring if he’s going to wrestle shirtless? Just put on a t-shirt! At least he could rock that awesome poodle mullet though. How intimidating! Shockingly enough, this character did not get over with fans. I know! Crazy, right? After feuding with Hart for a bit, even scoring a DQ victory over “The Excellence of Excecution” at SummerSlam that year, the Yankem character was systematically phased out. He became a jobber to the stars type character–an imposing figure that could be used to showcase how tough the most important baby faces could be–and was gone within nine months. A sad end for a sad character, but a happy day for fans, and Glenn Jacobs, alike. That wouldn’t be the last we saw of Glenn Jacobs in the WWF, though. 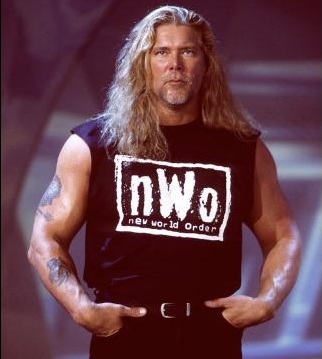 The very next year, the seven footer was saddled with yet another horrible gimmick, that of the fake Diesel brought in by Good Ol’ J.R. when Scott Hall and Kevin Nash left WWF for WCW. 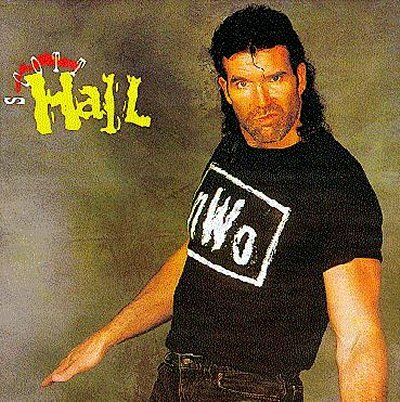 By the way; Yes, there was also a fake Razor Ramon, as many of you are aware, I’m sure. But buck up, readers. 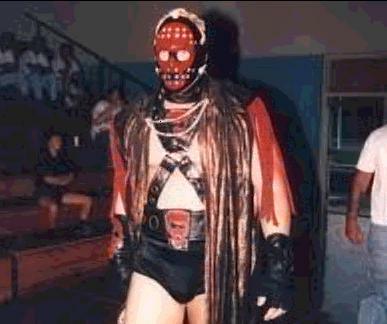 Less than a year later, Jacobs was finally given a good gimmick, as the Undertaker’s mutilated, masked, mysterious and evil brother, Kane. Although this gimmick was a bit over the top, it’s easily the best storyline and character Jacobs has ever played, and is one of the best storylines in WWF history, as far as I’m concerned. 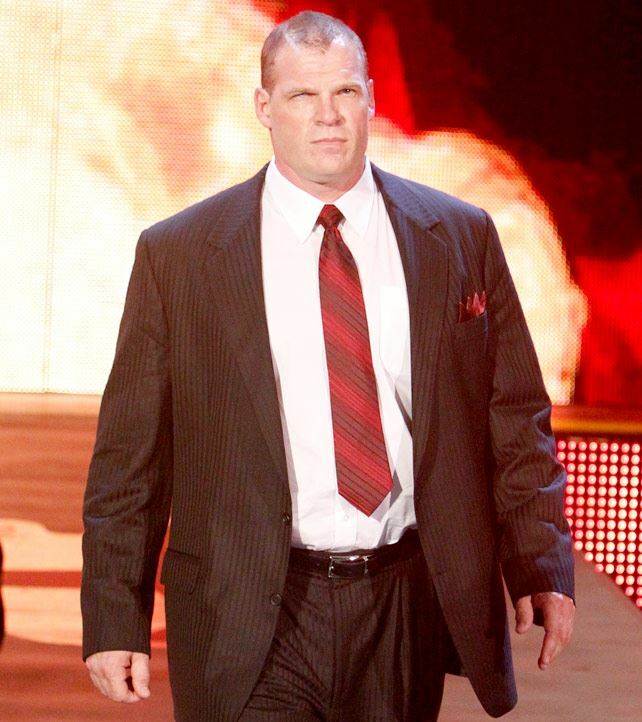 Nearly 20 years later, Kane is still (perhaps unfortunately) on WWE television every week, although now he’s “Corporate Kane,” and doesn’t wear a mask or need one of those voice box thingies, which is good if he’s gonna be in a corporation and such. Not being able to talk, and having a horribly disfigured face that you have to hide behind a mask, are not good skills to put on a resume. Sadly, despite the happy ending to his story, It seems Glenn Jacobs doesn’t like to talk about Isaac Yankem, DDS, as he recently abruptly ended a radio interview after the dentist gimmick was mentioned, but we at Jobu’s Rum will never forget. Our teeth are still hurting from this gimmick. Welcome to the Bad Gimmick Hall of Fame, doctor! Here’s a bonus match for you guys, Yankem vs. Hart in a steel cage on RAW, with Lawler ending up in the bird cage!